Welcome to the new Armidale Plaza website. Once you've had a look through all our pages, feel free to send us your feedback together with any suggestions on how we can continue to improve our site. You can contact us here. Open seven days a week, including public holidays, Armidale Plaza is the premier shopping destination in the New England region. Retailers include Kmart, Spotlight, Target, Carlo's Supa IGA and over 40 specialty stores delivering the latest fashion, jewellery, accessories, footwear, hair care, fragrances, healthcare and much, much more. Armidale, the major commercial, administrative and retail centre of the New England Tablelands, is located in northern NSW, 130km inland from the coast and about half way between Sydney and Brisbane. This regional centre is renowned for its churches and world class educational facilities, including the University of New England and a number of boarding schools. Armidale Plaza originally consisted of a number of individual retail and office buildings. Then, starting in 2006, the Centre underwent a major redevelopment incorporating these buildings into a single integrated enclosed Centre, and increasing the car parking spaces. When completed in 2007, total floor space had increased to over 17,000 sqm. 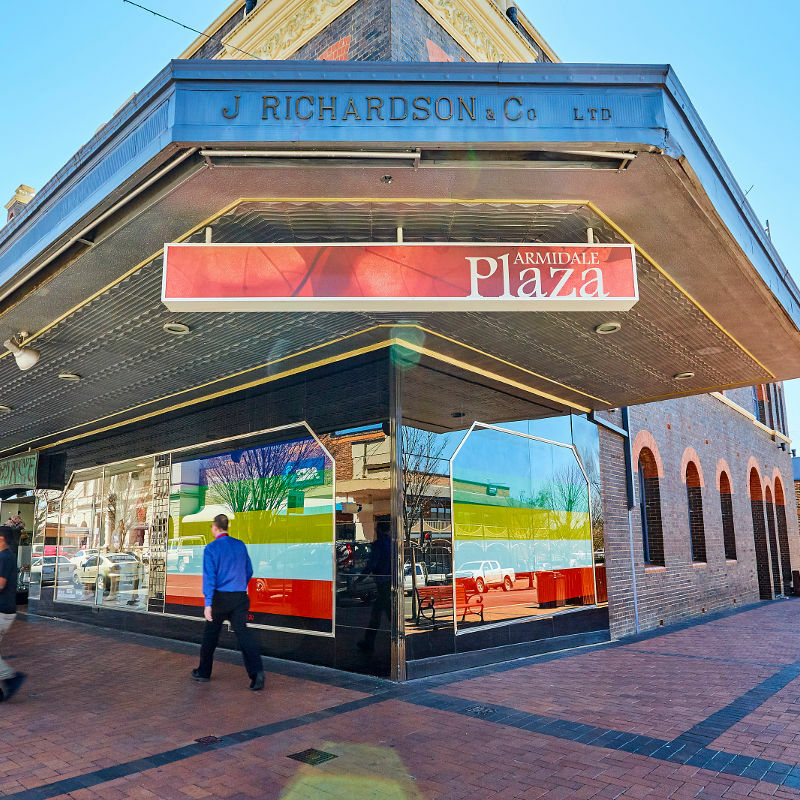 Armidale Plaza… The Heart of Armidale!